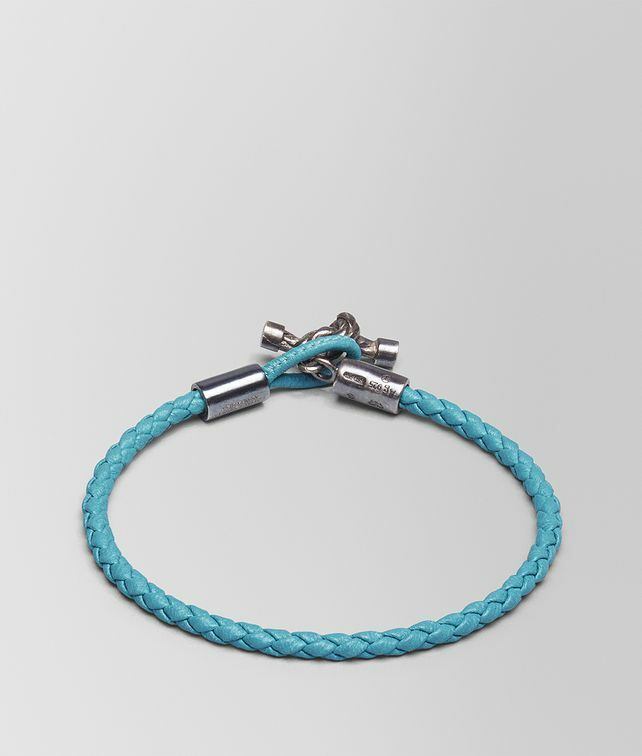 Accent everyday looks with this understated Nappa bracelet. The slim coaxial leather band is fastened with an oxidised silver T-bar clasp, forged in the shape of a knot - a signature element for Bottega Veneta - and engraved with the elegant Intrecciato pattern. Width of cord: 0.3 cm | 0.1"
Size S: 18.5 cm | 7.3"
Size M: 20 cm | 7.9"
Size L: 21.5 cm | 8.5"